Did you know that baby crocodiles hatch from eggs? Or that sometimes a mother crocodile has to break the eggshell to help her baby hatch? 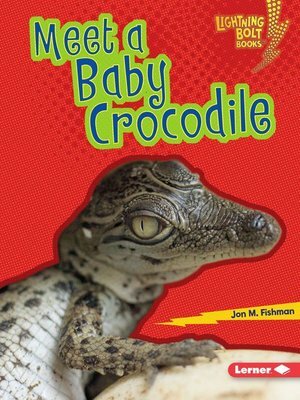 Explore more about amazing baby crocodiles in this book! Through high-energy designs, exciting photos, and fun text, you'll learn all about these unique animals.